Western RPGs Fallout 4 and The Witcher 3 also ranked surprisingly highly on the list. Japanese gaming mag 4gamer recently asked 133 of the nation's top developers what their Game of The Year for 2015 was, and the results were fairly surprising. 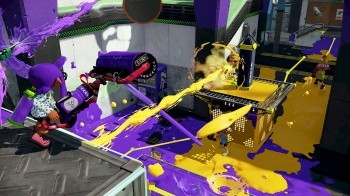 First up, Splatoon was the undisputed winner, with a whopping 24 total votes. To put that into perspective, the second place winners were Bloodborne and Super Mario Maker with only 8 votes each. But perhaps most surprising, in a nation that has historically been hostile towards Western-developed games, Fallout 4 and The Witcher 3 tied for third place with 7 votes each, beating out prominent Japanese titles such as Metal Gear Solid V and Dragon Quest Heroes. 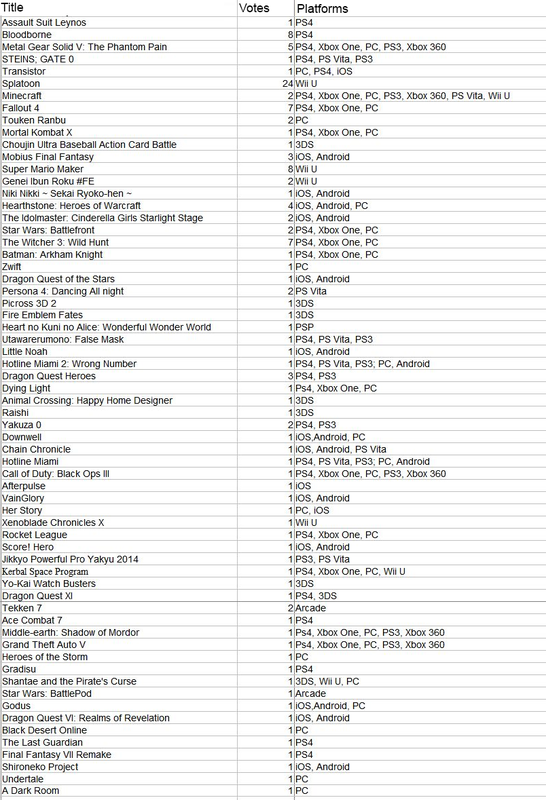 You can check out the full list of games here (thanks to DualShockers). You'll also notice that console games are quite prevalent on the list, which should hopefully lay to rest the cries that "console gaming in Japan is dying," and being replaced with mobile games. It's really interesting that Splatoon got such high praise. The game went from relative unknown to crazy popular overnight, and with its addictive, pick-up-and-play gameplay, it's not hard to see why. It's also interesting to see Japanese devs ranking the likes of Fallout 4 and The Witcher 3 above their own games, perhaps signalling a change in the Japanese gaming audience.